March 8 is International Women’s Day, and this year, it also marked a national day of protest, as many women chose to withhold their labor and dollars for A Day Without A Woman. (Let’s not forget that this was was not possible or advisable for many other women and women-identifying people, though.) We observed it here at The A.V. Club, as well as among our affiliated publications; even the pop-culture makers in Hollywood showed solidarity, with several productions slowing to a halt without their woman workforce. It looked like the demonstrations even reached the White House. You go (away), girl, indeed. 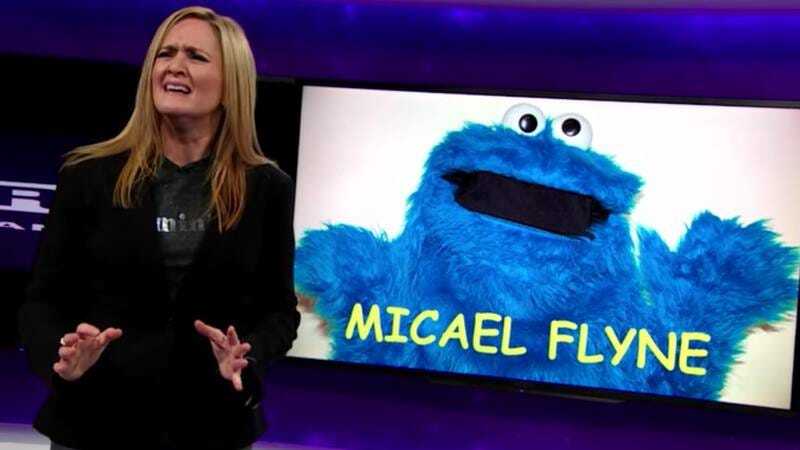 That wouldn’t be the only zinger we got from Full Frontal host Samantha Bee, but things were looking bleak (not to mention wobbly) for a while. For the first time, Full Frontal’s open was shaky—literally. Bee was working with a male skeleton crew (not literally, this isn’t Saturday Night Live), which meant she was out any copy editors, most of her writers, her stage manager, her audience manager, and so on. So why did Bee, who sports a “feminist” shirt under her blazer, even show up to work at all? Because she didn’t realize her show would air on A Day Without A Woman. Although Bee stormed out, she eventually returned (thankfully), along with the rest of the nasty women on staff for another installment of the show’s biting humor. This week, they looked back at Donald Trump’s bar mitzvah, i.e., his joint address, or: the day he became a president in the eyes of people who couldn’t see past that striped tie.